Last year, WWE's initial announcement of women's tag titles was met with much excitement. After all, a revival of the belts was long overdue, well deserved, and would finally give cause for the female tag teams that WWE had been creating. However, despite a fun and strong showing at the Elimination Chamber, and the promise of having them tri-branded, I do not think that it is unfair to say that the interest in them had started to wane. Could this have simply been because they were one tale among many on the road to WrestleMania? Perhaps, but I also feel that some of the fault lies with the title holders themselves. Despite their year-long build as a team, I never really bought into Sasha Banks and Bayley as a true duo. Yes, they had the matching gear, legitimate friendship, and a team name, but that is all for nought without screen chemistry. Why would I buy into them, and the titles, without it? However, my views quickly got turned on their head once The IIconics became the champions at WrestleMania. Matt Hardy was not lying when he said that he won a tag title every April. Wonderful! First, let me just point out that the Raw after WrestleMania was by no means the worst thing that we have ever seen. Kurt Angle getting comeuppance on Baron Corbin, the debut of Lars Sullivan, Lacy Evans actually doing something, Sami Zayn returning, and The Undertaker's appearance were all high points for the night. If this was your average Raw, it would have more than made the grade. However, this was not your average Raw, and there were some glaring problems that led many to feel disappointed in what is normally a high point in the wrestling calendar. Firstly, the glossing over of what went down between Ronda Rousey and Becky Lynch feels a real missed opportunity. Are we to presume that Ronda has no interest in what was, in the context of the story, a miscarriage of justice? Does Becky care that her victory is marred in controversy? Well, seemingly not. We are just going to skip over that and move her on as planned. Next up comes the men's winner takes all match which, I think it is fair to say, most suspected would involve dubious shenanigans. However, what nobody expected was The Bar being the ones to disrupt it. Now, I love The Bar, but they had no real beef with either men. So, why? Also, for what little it means nowadays, they are from SmackDown Live. Again, this would a fine, if not slightly uninspired, choice for your average Raw, but not necessary the best for a special day like this. Lastly, is it a bird? Is it a plane? Is it a Dark Crystal crossover? No! It's Bray Wyatt's new gimmick! 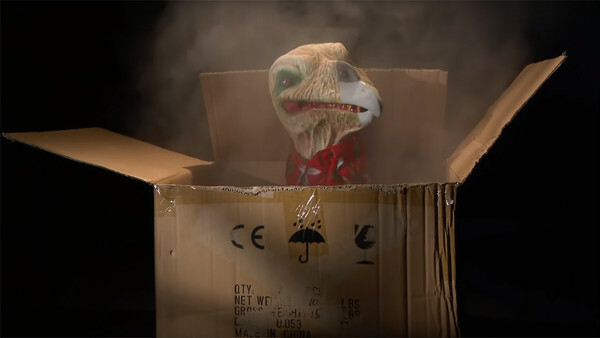 Despite rumors of a complete repackaging, the only tweak WWE saw necessary was to have him deliver his mad monologues via a scraggly buzzard puppet. Or, perhaps, the intent is for him to wrestle as the puppet? It would make about as much sense as anything else he ever says.